Silicon Valley lures top-tier talent from all over the world. High salaries, free food and laundry on campus are just a few of the benefits. But six-year-old "startup" Uber -- valued at an estimated $68 billion -- doesn't rely on fun, quirky perks to attract employees. In fact, despite its reputation for long hours and a limited work-life balance, Uber has enticed some of the most brilliant minds in tech to leave cushy jobs at Google, Facebook and Twitter. The breakneck pace can be grueling, employees admit, but they say Uber offers unique opportunities: "rocket ship" growth, the chance to solve real-world problems and a culture that frees them to experiment with radical solutions in a burgeoning field. 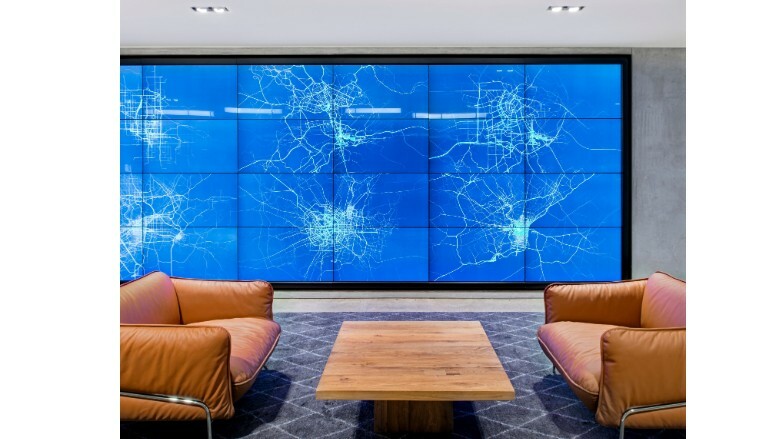 "I like to use the analogy of diamonds, which are compressed with heat and pressure for thousands of years," Uber CTO Thuan Pham told CNNTech. "Those who can actually survive and thrive from it come out as diamonds." 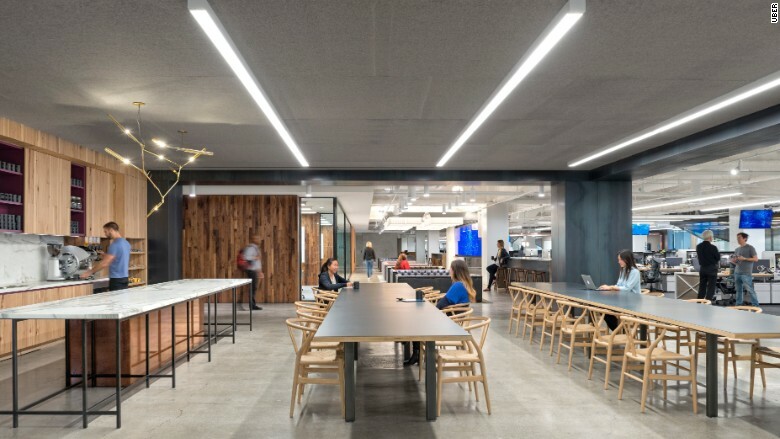 Uber's San Francisco headquarters is dotted with one-year anniversary balloons tied to worker desks -- a sign that the company is adding an enormous amount of new employees. Uber now employs 10,000 full-time (non-driver) workers and operates in more than 500 cities in 70 countries. "If you're going to leave, people do so within the first year because the pace isn't what they expected or what they're used to," said Neal Narayani, Uber's head of people analytics. Among those who left within the first 12 months is Melanie Curtain, who worked at Uber's Washington, D.C., office as a community manager in 2013. She compared the company's culture to ducks swimming on a pond: seemingly calm from above and working tirelessly under water. "It wasn't unusual to sign online and see people working after midnight and on weekends," she said. "The culture isn't imposed; it just exists. I knew what I was getting into, but it wasn't for me." Narayani agrees: "You have to be a bit of an adrenaline junkie to work here." He himself skydives in his free time. What's more, people with successful backgrounds -- valedictorians and those who have always done well in their careers -- often fail, "possibly for the first times in their lives," Narayani said. Still, Uber can't keep up with job applications, according to Narayani. It has a 4.2 rating on job review site Glassdoor, compared to the average company rating of 3.3. (However, drivers give Uber a 2.9 rating.) Tech companies in general maintain a high approval rate on the site: Facebook (FB) earns a 4.5 and Google (GOOGL) a 4.4. When CEO Travis Kalanick launched Uber in March 2009, the company faced a steep learning curve. Challenges ranged from dealing with local city regulations and hiring reliable drivers to developing a loyal rider base and scaling at an astronomical rate. Critics have also called Uber's ethics into question. Staffers allegedly posed as Lyft customers to cancel rides and poach drivers, and an executive revealed plans to dig up personal dirt on reporters critical of Uber. More recently, a lawsuit claimed employees misused the platform to track high-profile politicians and celebrities. But Uber's popularity on the ground continues to grow. Although it has emerged from its DIY roots, insiders say the culture and pace have remained relatively intact since the beginning. For example, not long after Andi Pimentel -- chief of staff to chief business officer Emil Michael -- joined Uber in 2012, she was approached by Kalanick, who knew she was from Mexico City. He wanted her to help him launch there. Along with four colleagues, she booked a one-way ticket to Mexico City. 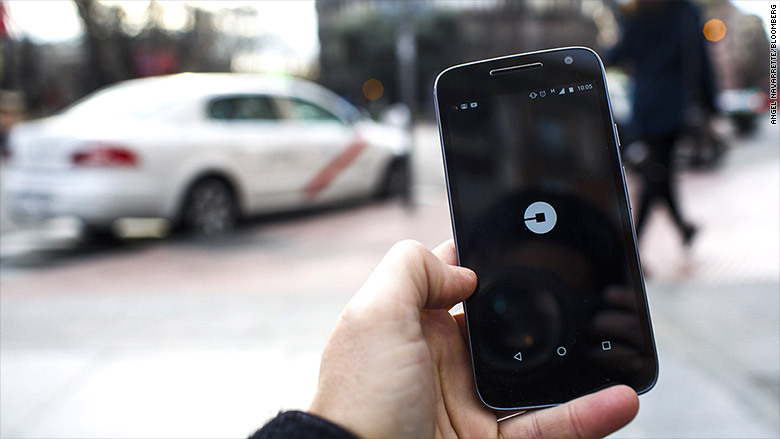 In a sort of grassroots effort, the group explained to individual riders how Uber worked, recruited drivers and translated the app into Spanish. Mexico City soon became the company's first Latin American market. "We are much more sophisticated now, but it's things like this that attract people to Uber," Pimentel said. "My grandmother, who can't drive, now uses it every Sunday to go to the grocery store in Mexico City. What you work on will have a direct impact on people's lives." When Pham, the Uber CTO, joined from cloud management firm VMware in 2013, he had one mission: Re-engineer the app's code so it could handle extreme growth. Because the app was originally developed by engineers with only a few years of experience, the foundation wasn't suitable for scaling quickly. 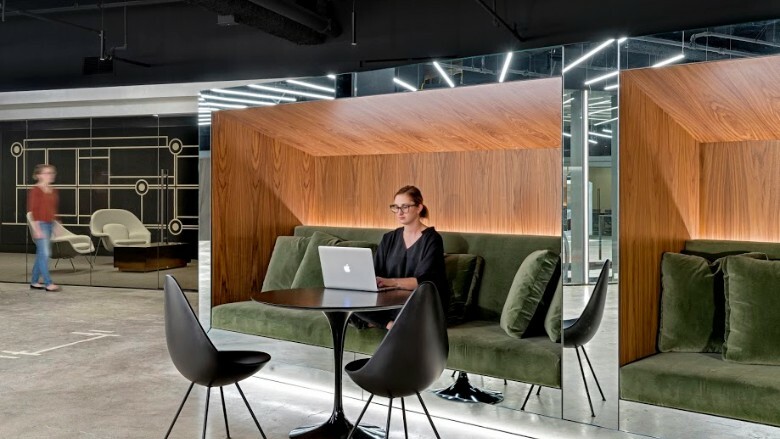 "What Uber has on top of pace, speed and the cutting-edge aspect of what we do is the compressed timeline -- it forces us to learn quickly and perform at a very high level," Pham said. "A normal [year] here doesn't compare to years somewhere else." 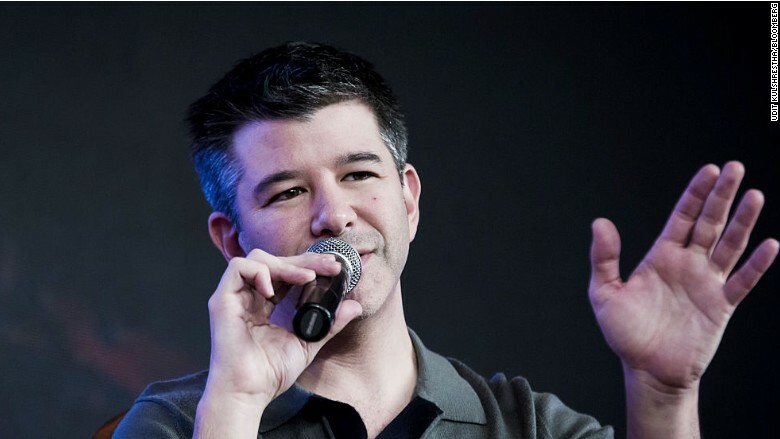 As the company has grown, Kalanick keeps his hands in almost every department. He's described as "an approachable leader," but Pham said he also gives autonomy to those he trusts. "[Travis] drives things really hard and has impossibly high expectations," Pham said. "But if he sees the team and an individual make progress -- and there is a history of that -- he pulls back. That is the only way a company can grow this fast." At Uber's start, the company's mostly millennial workforce wasn't married and didn't have children, allowing for more time in the office. That changed as the company expanded -- and grew up. Pham -- who endures a five-hour commute each day traveling to and from San Jose -- tries to make it home by 9 p.m. to see his 10-year-old daughter before bedtime. "I sometimes get back online after," said Pham, who explained his family can't move because his wife's medical practice is based in San Jose. "It takes a village to make it work. I take my daughter to school in the morning and my wife does the afternoon activities." 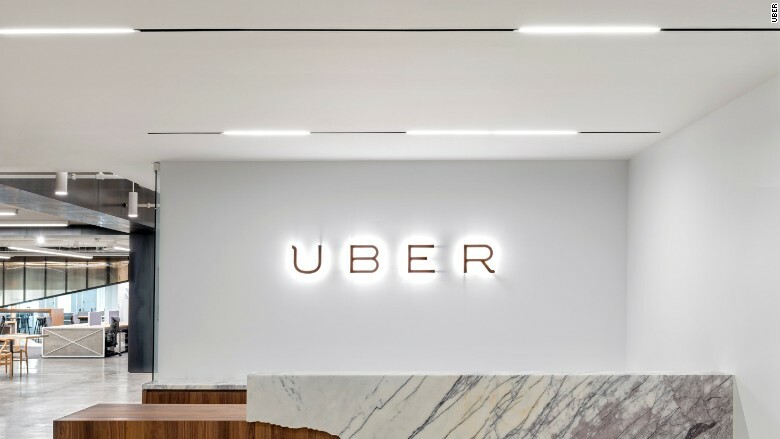 Janelle Sallenave, Uber's head of North America support operations, said her most difficult moment at the company happened this past fall, not long after the relaunch of the rider app. After she flagged the app's slow customer service to Kalanick, the company determined the process needed to be 50 times faster. "T.K. being T.K. said, 'I totally get these issues. Let's get it solved next week,'" she said. "It was like redesigning it from scratch. It was exhausting and exhilarating at the same time. In one week, we had to do something that would have taken four to five months to do somewhere else." Seven days later, Sallenave's team was getting customer inquiries to the right expert within a few minutes, regardless of which office they worked in. "Uber is like dog years ... it's a rocket ship," she said. "When we see something that could move the platform forward, we take the opportunity to do it." Sallenave will soon celebrate her first work anniversary after leaving a consulting job at Charles Schwab. Colleagues were shocked when they learned she was taking a job at Uber. Before taking the job, she discussed with her husband what the role might mean for her home life. Now, she misses dinner with her family a few times a month, but she maintains balance by focusing on work when at work, and home when at home. "When I'm here, I am not stopping to chit chat with a girlfriend," she said. "I wonder how much Cyber Monday was happening at Uber. Probably very little." She also discovered a different Uber on the inside. "Uber is actually warm, friendly and wonderful," she said. "It's not an intense man cave -- that's what people [from the outside] were telling me. These people are smart and they make me want to be smarter." Still, the most common "con" listed on Uber's Glassdoor page is the lack of work-life balance. A former San Francisco-based Uber employee, who spoke to CNNTech on the condition of anonymity, said many engineers complained about being burned out -- and it was hard to be "off the clock" when messages rolled in late. "Uber is going through considerable growing pains as it attempts to transition from a largely decentralized company that knows how to sprint into new markets to one that's more mature, centralized and needs to support its people better," he said. "[Travis'] libertarian ethos runs deep in the culture: Your success is largely contingent on your ability to elbow other people in the face on your way to success." 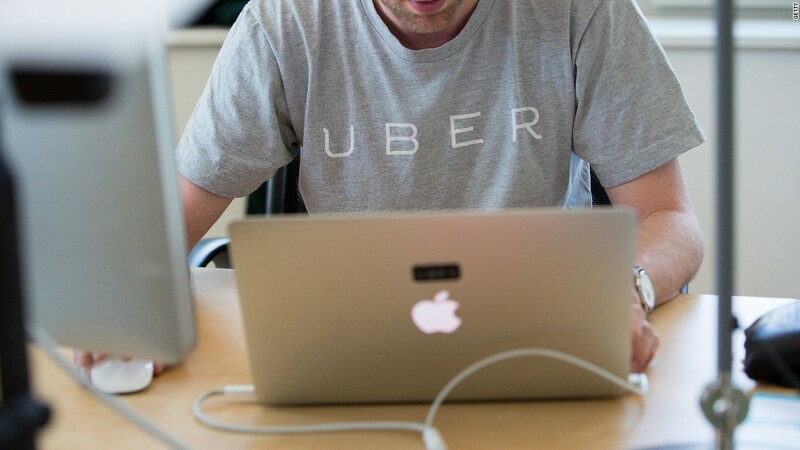 Uber is especially interested in hiring former entrepreneurs; it currently employs about 200. Before joining the company, Ed Baker -- VP of growth -- founded two dating sites, one of which was acquired by Facebook in 2011 for an undisclosed amount. Baker later spent two years at Facebook focused on growing competitive markets such as Japan and Russia. "I wasn't planning to leave Facebook, but I was attracted to Uber because it's a place for entrepreneurs to be entrepreneurs," said Baker, who met Kalanick at one of the CEO's famous "idea jam sessions" at his home. "Uber today probably feels how Facebook felt years ago," he said. "It's small and chaotic because we are growing so quickly and there is so much going on. You have to be comfortable with that uncertainty." 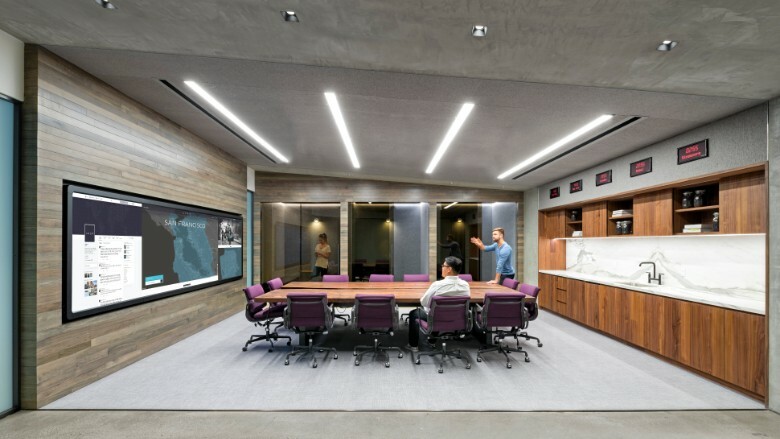 To pick candidates with the right background and personality, Uber built an internal algorithm for the recruiting team that it couples with an extensive vetting process. "I like raw answers. I walk away from people who are too polished," said Komal Mangtani, director of engineering. 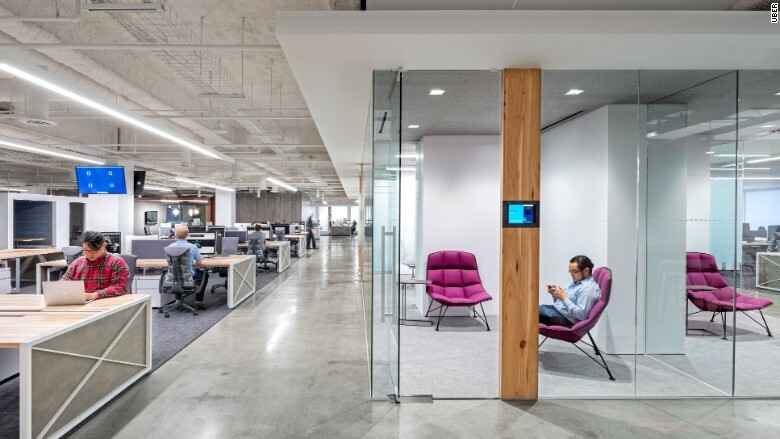 While employees at other companies may work hard because a manager encourages them to do so, Mangtani said the mentality and approach is different at Uber. "These are real-world problems that need to be solved, whether it's looking into a safety incident or making sure drivers get paid on time so they can pay rent," said Mangtani. But Curtain, the early employee who left just shy of a year, said Uber's desire to "win" in all areas included attracting and keeping talent. "Years ago, someone close to the top discussed Uber's health care policy in a meeting," Curtain said. "He said, 'We would never want to lose talent to another company because they had better healthcare.'" "My impression wasn't so much that it was about keeping employees healthy but about getting and maintaining the best people. Yes, they want to make sure its staff is taken care of, but they want to also win at everything." Despite Uber's success, it's never too far from controversy. Maya Choksi, senior product manager on the driver app, has seen Uber face mountains of issues since she joined in 2012. "The hardest moments [for me] involve negative media attention," she said. "[It] doesn't feel at all reflective of what is happening at the office or what people are trying to do. The intentions can get misconstrued." Recent bad press includes an outcry over Uber's response to Trump's immigration ban. 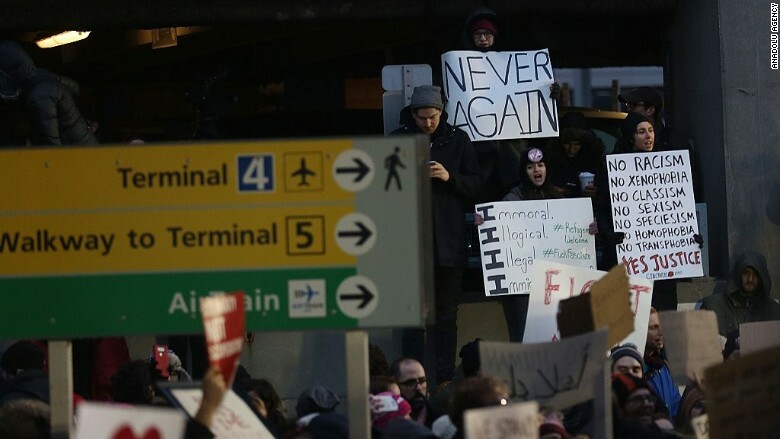 The company turned off surge pricing during a protest at JFK airport in New York City, a move the company said was meant to help protesters get a ride home. But many users assumed it was to capitalize on a taxi stoppage, and #DeleteUber trended widely on social media as people deleted the app from their phones. Immigration activists stage a protest against President Donald Trump's 90-days ban of entry on 7 Muslim-majority countries in JFK airport in New York, U.S.A on January 28, 2017. Choksi said Uber's teams take these incidents personally. Choksi cited one early example: Uber planned to charge riders a fee when drivers were kept waiting, in an effort to ensure drivers were fairly compensated. But users weren't happy, and negative headlines followed. "Those negative moments don't feel good," she said. "I get calls from my family saying, 'Is Uber really like this?' And you feel like you have to defend yourself." But Choksi, like other Uber employees who shared their stories with CNNTech, said both internal and public failures aren't looked down upon at the company. "Because we are solving problems without having other examples to look at, we are encouraged to fail fast and learn and keep tackling," Choksi said.